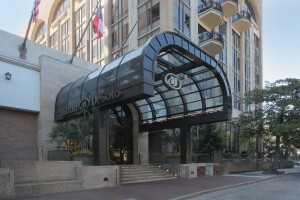 Nestled in the historic district, the Hilton Savannah DeSoto Hotel completed a major renovation in 2009. A new porte-cochére and entry lobby are amongst the notable improvements to the 1890′s vintage, 15-story property. Welcoming and sheltering guests as they enter the hotel, Super Sky Products Enterprises, LLC provided a custom vaulted skylight. 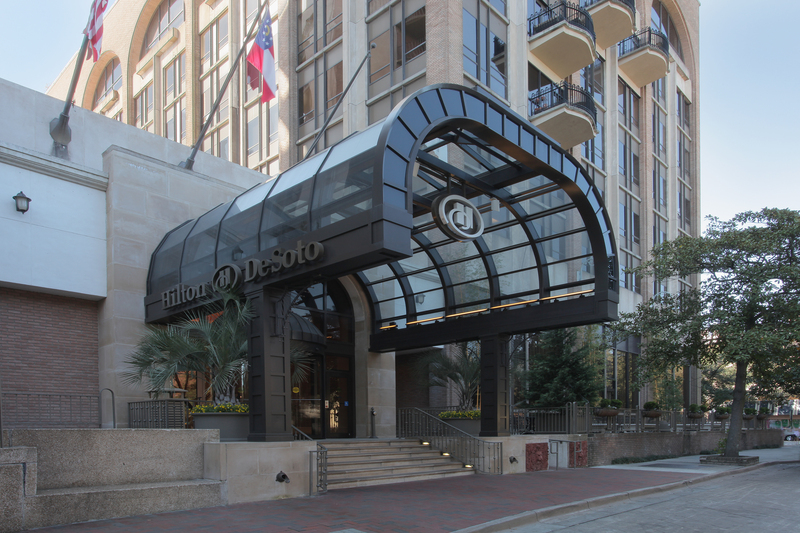 Along with the finish’s environmental and performance qualities, Super Sky’s skylight for Hilton DeSoto contains 800 square feet of Viracon‘s laminated glass to mitigate severe heat and storms. Rain or shine, Hilton Savannah DeSoto Hotel offers 245 rooms plus five suites and bar/lounge, restaurant, coffee shop, outdoor pool with bar, gift shop, exercise center and 20,000 square feet of banquet and conference facilities. * Contractor: Bosse Mattingly Constructors; Louisville, Ky.
* Skylight manufacturer and installer: Super Sky Products Enterprises, LLC; Mequon, Wis.
* Skylight glass manufacturer: http://www.viracon.com; Owatonna, Minn.
* Skylight finisher: Linetec; Wausau, Wis.